Mike Emrick returns to Miami U. He has become the dean of Ice Hockey play-by-play sportscasters. He is the lead announcer for National Hockey League contests on NBC and NBC sports. Mike is a native of La Fontaine, Indiana. He came to Miami after earning his Bachelor's from Manchester University in 1968. He earned his Master's at MUB, and went on to receive a Ph.D in Communications from Bowling Green in 1976. That's when folks began calling him "Doc". He became a teacher of speech and broadcasting himself at Geneva College. 1973 Play-by-Play and P. R. for the IHL Port Huron Flags. 1977 Play-by-Play and P. R. for the AHL Maine Mariners. He broadcast their Calder Cup championships in 1978 and 1979. 1982-1986 The voice of the NHL New Jersey Devils. 1983-1993 Lead play-by-play for Philadelphia Flyers games on TV and cable. 1993-2001 New Jersey Devils. Announced their 1995 Stanley Cup win. 1995-2000 Lead NHL announcer for Fox's Game of the Week, and Stanley Cup Finals. 1996 World Cup of Hockey for Prime and 2004 for ESPN. 1997 National Cable ACE Award for best play-by-play. Outstanding service to Hockey in the United States. 2008 Foster Hewitt Memorial Award. 2013 NSSA Sportscaster of the Year. 2014 Sports Illustrated Magazine's Sports Media Person of the Year. 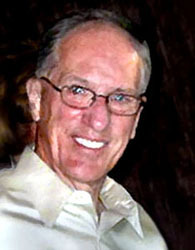 Doc Emrick is a Vice president of the NHL Broadcaster’s Association since 1985. He is a member of the Hockey Hall of Fame selection committee.